Woollyhugs > Latest.. > Auction > Spring Auction 2018 > Item 21. 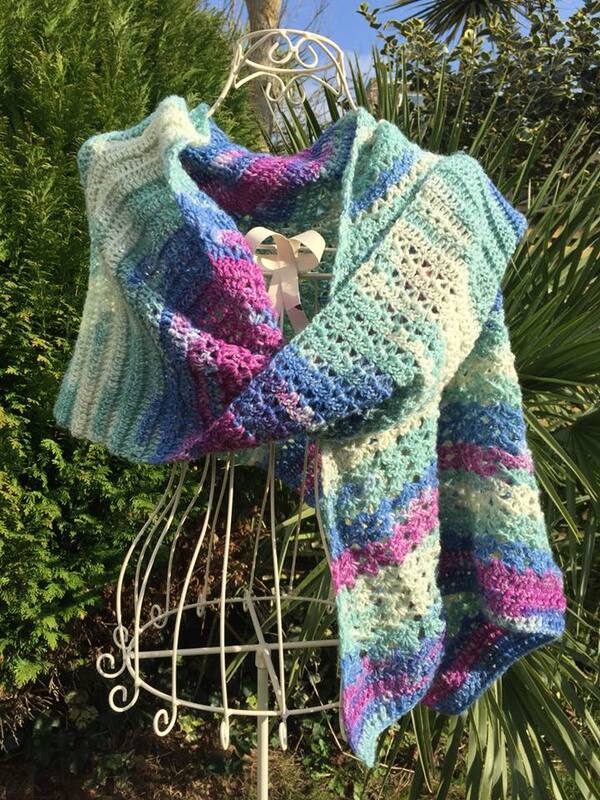 Gorgeous Spring shawl/scarf is in Stylecraft ‘Head over Heels’ sock yarn. 21) Beautifully lightweight, this gorgeous Spring shawl/scarf is in Stylecraft ‘Head over Heels’ sock yarn. Stunning! The longest edge is approx cm and it is cm at it’s deepest point. Will find tape measure! Do Not Tumble Dry, dry flat.